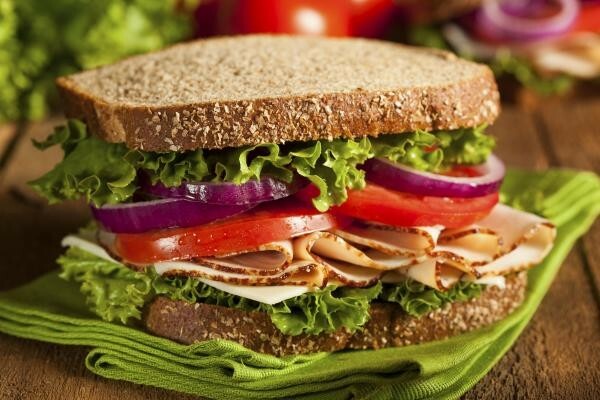 A sandwich with a few slices of cheese and cold turkey is a quick way to prepare lunch, and not to mention cheap. People must be aware however, of the health implications of consuming processed food, as they have been linked to heart disease, diabetes, and cancer. Some of the carcinogenic processed meats identified by a research from the World Health Organization (WHO) are hot dogs, bacons, and lunch meats, such as salami. It doesn’t mean however that they should be avoided altogether. If taken wisely and in moderation, people could reap the benefits and not the negative side effects. According to WHO, the risk of cancer will not increase if people will eat good-quality meat only once a week. By ‘good quality,’ they mean that the animals are certified organic and grass-fed. People should check if these animals have been raised with grains using GMO and pesticides. The good thing about buying ingredients from supermarkets, like Whole Foods, is that they make sure that the meats and produce they sell are organically grown. People won’t have to worry about where the products are coming from. Which is healthier: cured, oven-roasted, salted, smoked, or straight-cooked? BHA (butylated hydroxyanisole) and BHT (butylated hydroxytoluene) are possibly carcinogenic. Sodium nitrite/nitrate can increase the risk of cancer, heart disease, and diabetes. Corn syrup is heavy in glucose (too much sugar) and this can lead to diabetes, among other diseases. Buying at the deli counter is still better when ordering chicken and roast beef, where they show the animal meat is being cut. It would also be good to ask the staff at the deli counter what ingredients were used, if they were not labeled anywhere. As much as possible, steer clear from pre-packed meat, especially if the source is unknown. It is strongly advised to eat processed meats at a minimum. Also stick to up to five ounces of processed meat per meal. Try alternatives, such as roasted chicken, when preparing your lunch. Roast the chicken on your own or buy a cooked one from the supermarket. Mix it with plant-based spreads, as well as vegetables.